Unstuck Joy! with Vicki Todd - The Art of Living On Purpose: What's Your Sigil? Join me and my guest Joanne Chen, who is a Transformational Life Coach. Joanne helps professional women let go of perfection to serve the world more powerfully and live more fulfilling lives. An Asian American immigrant not quite fitting into the model minority role, Joanne broke out of her conventional background to create her own unique path. Joanne will give tips on how to slow down, quiet your critical mind, and access your intuitive, creative self! This show’s Art Vision prompt is What’s Your Sigil? 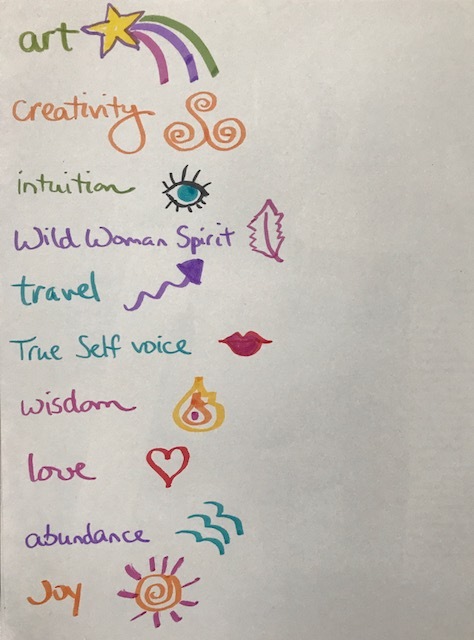 Let’s create our 2018 intentions via an arty, magical symbol! This show’s Art Vision prompt is What’s Your Sigil? Let’s create our 2018 intentions via an arty, magical symbol! 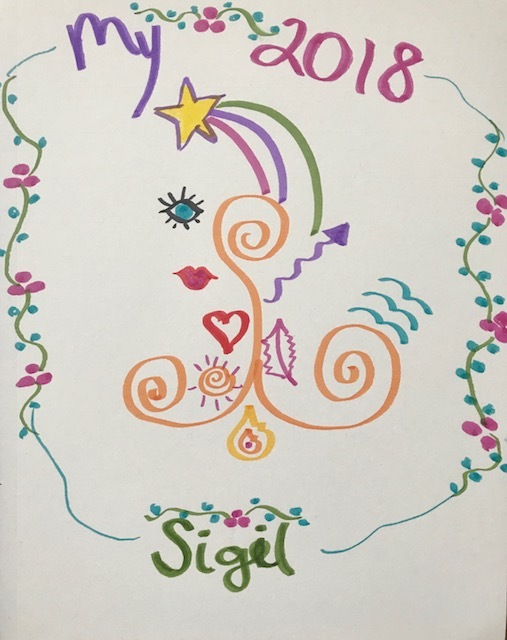 Click here to go to Vicki's Art Vision page: What's Your Sigil? 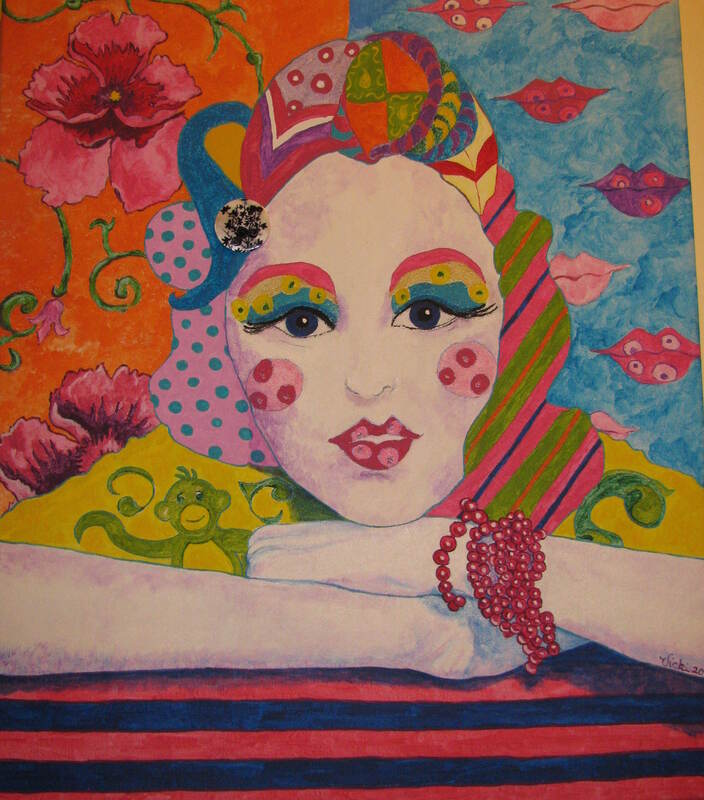 Memoir Artwork of the Day: And Now What? I began this painting on January 1, 2013, as a new New Year’s Day tradition: paint on the first day of each year to set my intention of putting my art first! What are YOUR intentions for 2018? Do you need to create new traditions or rituals to symbolize your juicy intentions coming to fruition? If you go to the “Resources” page on Joanne's website (http://www.joannetchen.com), you will be able to download the “Wheel of Life,” which is a tool that will give you a big-picture view of your life and help you set goals/priorities. On the same page, Joanne has included a recording that explains how to use this tool.